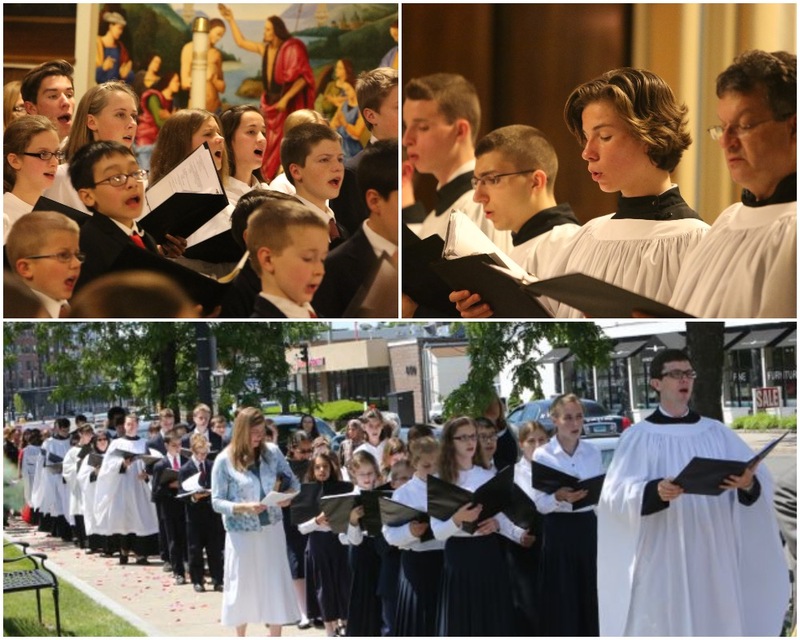 The seven choirs of St. Mary's provide a vital part of her liturgical life, offering sacred music of the highest quality for Masses and other services throughout the week. The choirs also combine for grander music on special feasts. The St. Mary's Choir sings at the English Mass at 11:30 a.m. every Sunday, and meets for rehearsal on Thursday nights at 7:00 p.m.
St. Mary's Spanish Choir sings for Masses on Saturday at 7:00 p.m. and Sunday at 1:15 p.m. The rehearsal for both Masses is held on Monday at 7:00 p.m.
El Coro Hispano canta para las Misas de los días Sábado a las 7:00 p.m. y Domingo a la 1:15 p.m. Los ensayos para ambas Misas se realizarán los días Lunes desde las 7:00 p.m. The Viri Galilæi is a men's chant choir, which meets to chant Vespers at 7:00 p.m. every Wednesday. This program of musical formation for children is divided into three levels: the beginning St. John the Baptist Choristers, the intermediate St. Gregory Schola, and the advanced St. Cecilia Schola. 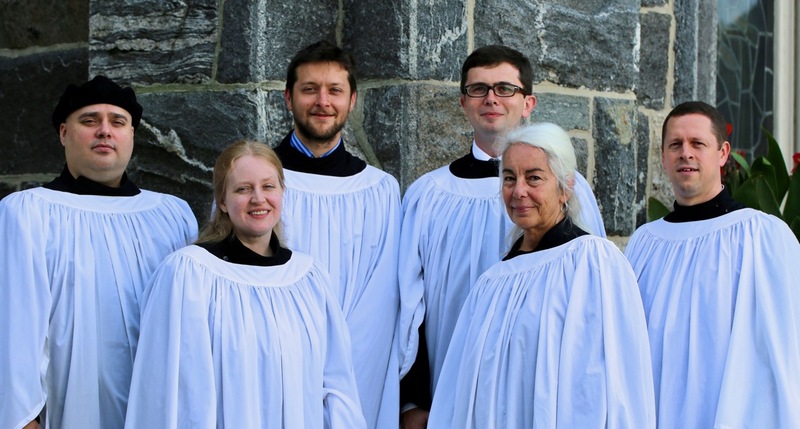 The Schola Cantorum is a professional quintet that provides music for the traditional Latin high Masses on Sunday at 9:30 a.m. and on other major feast days. 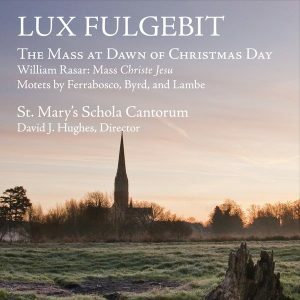 The Schola released its debut CD in 2017.